Frogs and other amphibians are under pressure. 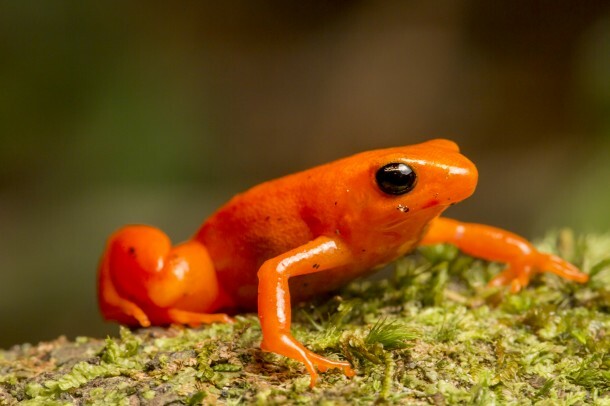 Nearly one-third of the world’s amphibians are threatened or extinct, according to a report from the International Union for the Conservation of Nature (IUCN). Habitat loss is perhaps the biggest contributor to these declines. 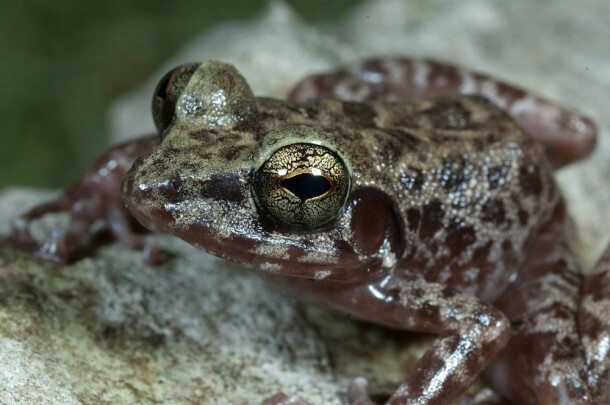 The spread of a fungus called chytrid (Batrachochytrium dendrobatidis) has also taken a toll, leading to the catastrophic decline or extinction of at least 200 species. At our request, the amphibian specialists at the IUCN put together a list of five frogs that face the greatest risk of extinction. 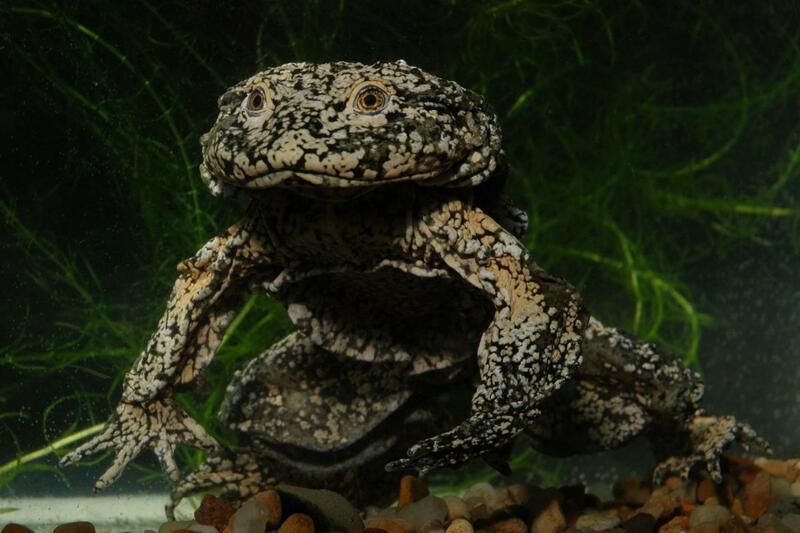 You can catch a glimpse of one of these rare animals, the Titicaca Water Frog, in the upcoming Nature episode Fabulous Frogs. 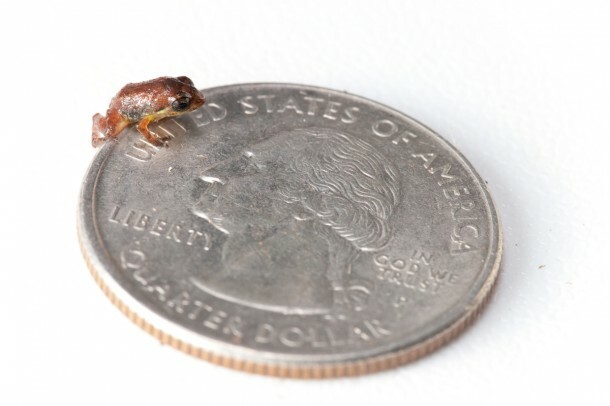 One of the smallest frogs in the world, the Macaya breast-spot frog (Eleutherodactylus thorectes) is only found on the Formon and Macaya peaks in southwestern Haiti. The species is expected to decline by 80 percent over the next ten years as a result of habitat destruction. Slash and burn agriculture and the logging of trees for charcoal are driving this loss of habitat. 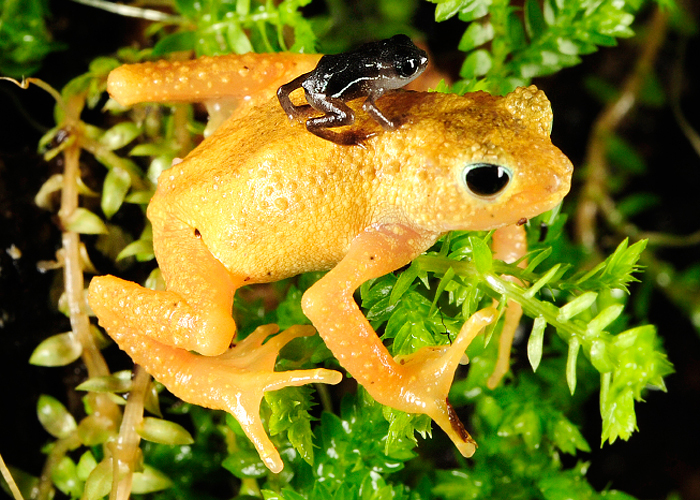 As its name suggests, the Kihansi Spray Toad (Nectophrynoides asperginis) was once found in the spray of the Kihansi Falls in Tanzania. It is now considered extinct in the wild. A hydroelectric dam built upstream of the falls is blamed for this decline. The dam cut off 90 percent of the original water flow, reducing the volume of spray around the falls and altering the vegetation. The Island Forest Frog (Platymantis insulatus) is a native of the South Gigante Island in the central Philippines and inhabits the island’s limestone forests and caves. Like a number of frogs, it has no distinct tadpole phase; the larva develops inside an egg until it emerges as a baby frog. The main threat to this species is human encroachment due to guano (bat manure) mining and the quarrying of limestone. The brightly-colored Golden Mantella (Mantella aurantiaca) lives in the rainforests of central-east Madagascar. Females lay their eggs on the forest floor and the tadpoles that emerge are swept into swamps, temporary ponds and flooded forests. The frog’s main threats are habitat loss due to agriculture and logging, but experts also worry about over-collection due to its popularity amongst frog enthusiasts. True to its name, the Titicaca Water Frog (Telmatobius culeus) inhabits Lake Titicaca high in the Andes mountain range on the border of Bolivia and Peru. The frog’s unusual appearance is due to folds of extra skin that help it absorb oxygen in a high-elevation, low-oxygen environment. The species has declined by 80 percent in the last three generations due to over-harvesting, the introduction of invasive species and environmental pollution.